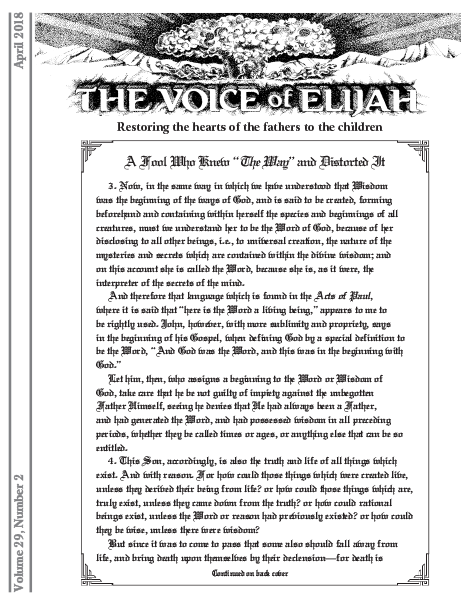 Here you will find a rather extensive directory of all The Voice of Elijah® newsletters published since 1990. 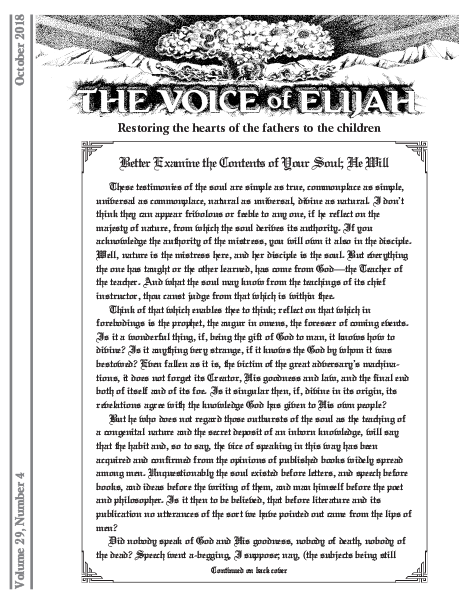 Below you will find order information and descriptions of all The Voice of Elijah® newsletters from 1990 to the current issue. 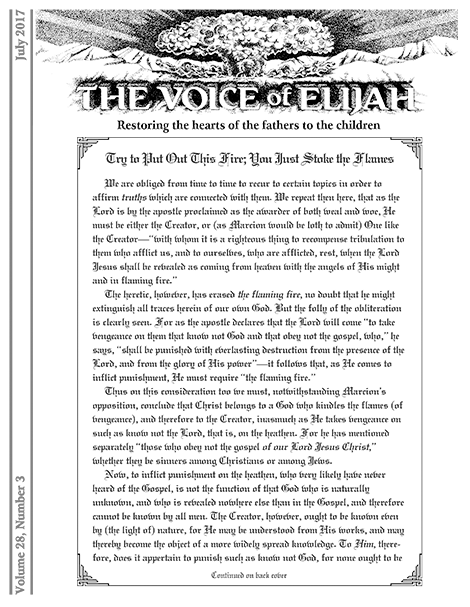 Order from our Store or learn more about each publication by using the dropdown menu below. Back issues are organized by year.